Like skin patterns? There is a melange of animal moods in this 16″ contemporary necklace. 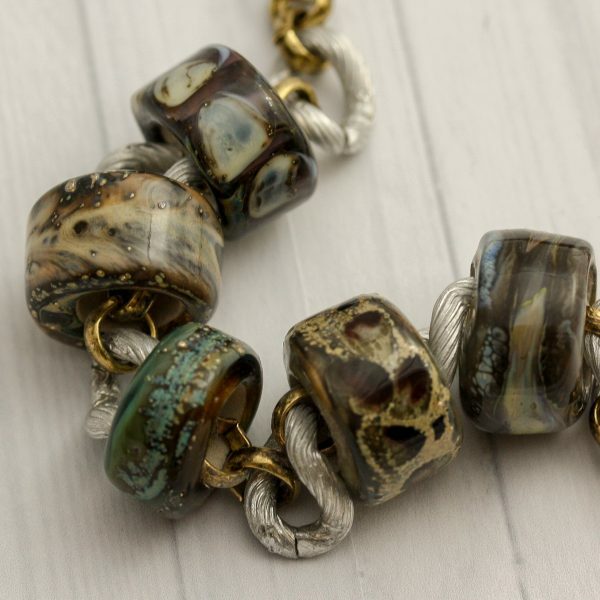 Crafted of handmade lampwork glass rings, each one is distinct adding flair to a simple style in neutral colors of shale, espresso, stone and hickory. Links are a mix of brushed silver and antique gold, with a secure magnetic closure at back.